A good night’s sleep is incredibly important for health, it makes you feel better. Adequate sleep is a key part of a healthy lifestyle, and can benefit your heart, weight, mind, and more. Sleep is a time to relax, but it's also a time during which the body is hard at work repairing damage caused by stress, ultraviolet rays, and other harmful exposure. 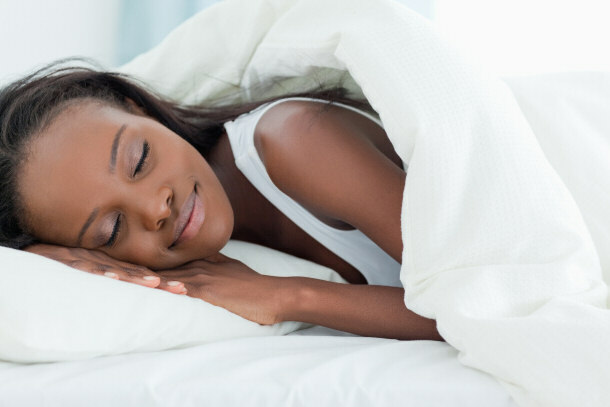 Your cells produce more protein while you are sleeping. These protein molecules form the building blocks for cells, allowing them to repair damage. Poor sleep is strongly linked to weight gain. People with short sleep duration tend to weigh significantly more than those who get adequate sleep. In fact, short sleep duration is one of the strongest risk factors for obesity. The effect of sleep on weight gain is believed to be mediated by numerous factors, including hormones and motivation to exercise. So in order to prevent weight gain, endeavor to get quality sleep early and sleep good. Regular shut-eye actually makes you look healthier and more attractive, according to a 2010 study published in the British Medical Journal. Researchers photographed 23 people after a period of sleep deprivation and after a normal night’s sleep of eight hours. The photos were shown to 65 people who rated each photo based on health attractiveness and tiredness. The sleep deprived group scored lower in all three categories. When you don't sleep well, it causes circles and bags under the eyes. But a good sleep refreshes and relaxes you, making you look younger and more attractive. Have you ever woken up after a bad night's sleep, feeling fuzzy and easily confused, like your brain can't get out of first gear? That is because you lack good sleep. When you don't sleep well, it affects how you think, it impairs your cognition, your attention and your decision-making. Studies have found that people who are sleep-deprived are substantially worse at solving logic or math problems than when they're well-rested. "They're also more likely to make odd mistakes, like leaving their keys in the fridge by accident or forgetting things. Not getting enough sleep lowers libido and can make people more likely to have sexual problems like erectile dysfunction. And sleep itself is restorative — it increases testosterone levels, which boosts sexual drive for both men and women.